Wet abrasive blasting using the Quill Falcon Kwikblast® System removes all types of road and pavement markings, both from the surface and from any cavities or depressions. This is done without producing fumes, smoke or excessive dust, and results in a road surface that is profiled to your specifications but remains unscorched and unscarred. 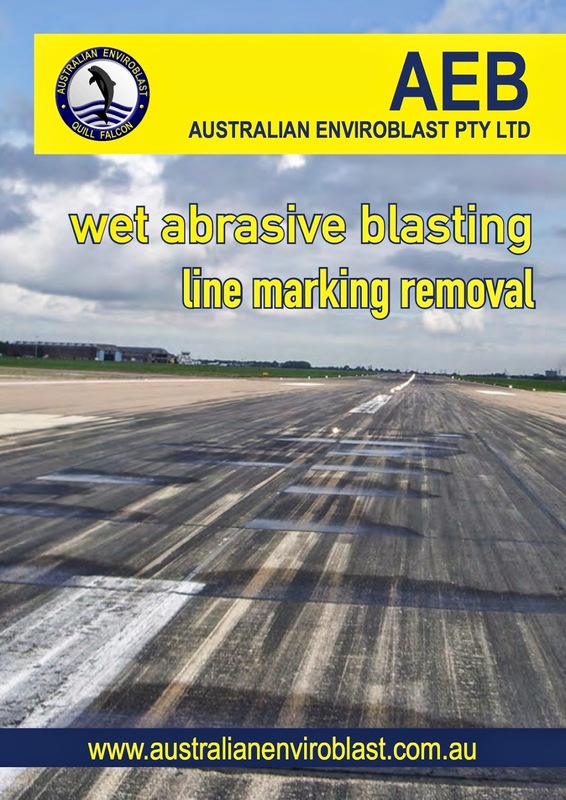 This is because the +Quill Falcon Australia Kwikblast® System is a precision dustless blasting system which combines the simplicity of conventional grit blasting with the effectiveness of ultra high pressure (uhP) jetting but without the associated hazards and complications. How abrasive blasting works During the abrasive blasting process, abrasive material is propelled by at high pressure onto the road or footpath surface and this strips away unwanted substances but leaves the original surface clean and contaminant free. The media used during abrasive blasting is reclaimed and there is very little dust produced during the process.